If you read any of the literature on leadership, or dabble at the edges of it, a number of historical figures crop up over and over again. I reckon Churchill, Lincoln, Washington and Nelson are top of the charts. Consider Tom Peters’ edict to “mimic Lord Nelson” as one of the keys to success. I have in my own shelves several books on Nelson. What’s not to like: brilliant, charismatic leader, stirring successes, early, tragic death (not that anyone wants to emulate that last fact). 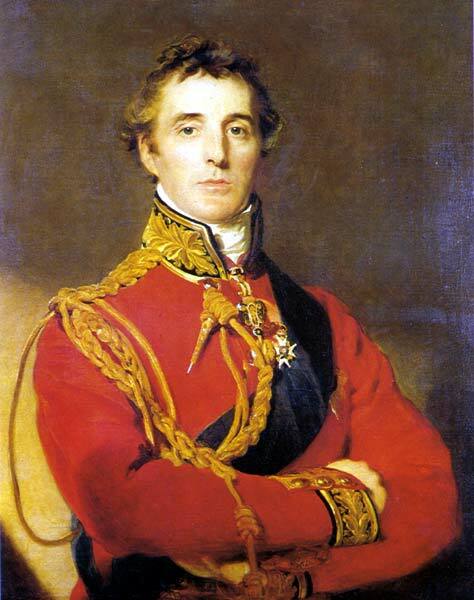 But a recent jag of historical reading made me wonder, whatever happened to the Duke of Wellington? In Victorian England he was a titanic figure, and all of Europe (save France) hailed him for seeing off Napoleon. But I sense he’s been largely forgotten, except for Wellington boots and Beef Wellington, which no one eats anymore. I can’t recall ever hearing of someone visiting Apsley House, at One Hyde Park Corner, which is the Wellington museum. I lived in London for 25 years without going. I recently finished Elizabeth Longford’s first volume on Wellington, The Years of the Sword. It’s a great read, although slightly old fashioned in style. The range of Arthur Wellesley’s career, from the storming of Seringapatam, to governing Mysore, to the battle of Assaye, to his string of victories in the Peninsular wars, to, of course, Waterloo, is astonishing (that’s all in 16 years). He entered at once into conversation with me, if I can call it conversation, for it was almost all on his side, and all about himself, and, really, in a style so vain and silly as to surprise and almost disgust me… I suppose something that I happened to say may have made him guess that I was some-body. All that I thought a charlatan style had vanished, and he talked… with a good sense, and a knowledge of subjects both at home and abroad, that surprised me equally and and more agreeably than the first part of our interview had done; in fact, he talked like an officer and a statesman… I don’t know that I ever had a conversation that interested me more. The next day, Nelson left London to join HMS Victory at Portsmouth. Little more than one month later, he was mortally wounded at Trafalgar. If I attempted to answer the mass of futile correspondence which surrounds me, I should be debarred from the serious business of campaigning. I must remind your Lordship — for the last time — that as long as I retain an independent position, I shall see no officer under my command is debarred by attending to the futile driveling of mere quill-driving in your Lordship’s office from attending to his first duty, which is and always has been to train the private men under his command that they may without question beat any force opposed to them in the field. That sort of attitude didn’t win Wellington many friends and he seems to have had a deserved reputation for being overly serious. But if you want to find a leader who cared about execution above all, and who knew how to (literally) marshall his troops, Wellington is your man. Wellington was 46 at Waterloo and had 37 years to live, during which he was the most famous man in Europe. He rejected plans to build him, at public expense, a palace on the scale of the Duke of Marlborough’s Blenheim as “an absurd idea”. As a Duke, he served in the government for many years, and between 1828 and 1830 was prime minister. He was not a success. Just as on the battlefield, he could not delegate, only give orders. Though hailed as a hero, he lived, unlike Nelson, to see how flimsy such an accolade can be. They threw stones through the windows of his residence, Apsley House. He had the windows boarded up but refused to replace the glass, leaving them as a reminder of how volatile popularity could be. This entry was posted in Uncategorized on November 15, 2010 by lance.